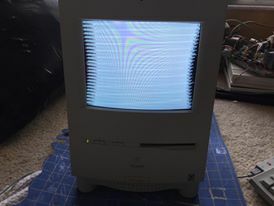 The computer turns on but the video is scrambled, every minute it "turns off" and turns on again. will post a video soon. Of course I tried all pots in the back with no luck. Given the age of these machines, the first thing I'd do is check and replace the capacitors on both the analog and logic boards.